This is an understandable reaction. After all, there hasn’t ever been a smartphone with a curved display on its side. The Galaxy Note Edge is the first of its kind. Considering smartphones have had only one main display on the front since the dawn of their development, it is understandable if people are not sure what to make of it. 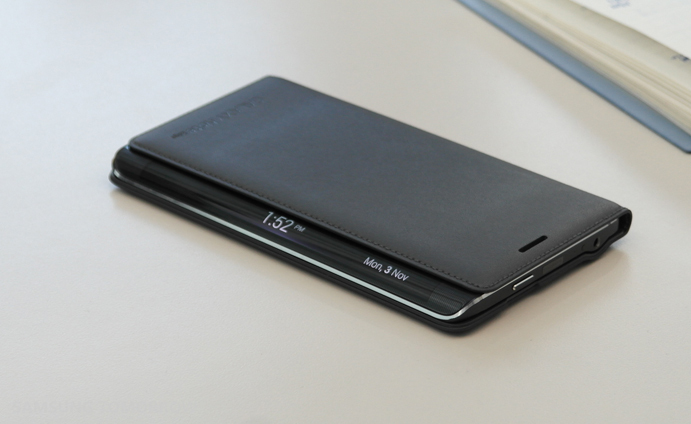 Sure, it might be unorthodox, but is the Galaxy Note Edge intimidating or overwhelming? Absolutely not. In fact, it is the polar opposite. Let us explain why. First thing first, is the curved screen durable? Before we talk about the uniqueness and its purpose of the Galaxy Note Edge, we must address the curiosity people have when they saw the Edge Screen for the first time, the durability. What happens when someone drops it? Wouldn’t the screen on the side break easily? Engineers at Samsung were aware that people might be concerned that the curved display might crack easily. They say that they’ve done more than 1,000 drop tests, not to mention other vigorous durability tests that Samsung is widely recognized for. The Galaxy Note Edge actually undergoes more durability tests – tests designed to simulate the different angles it may fall because of the edge screen and how the edge screen changes the way the device is gripped. The metal frame plays a significant role here too. It’s pretty clear that the rigid metal helps make the frame stronger. Also, if you take the device, you can see that the metal frame pops out a bit from the screen, so that when the device is dropped, it impacts the metal frame first. Therefore, in terms of the device being dropped, it drops similar to the way regular smartphones are dropped; the display isn’t the first impact point. 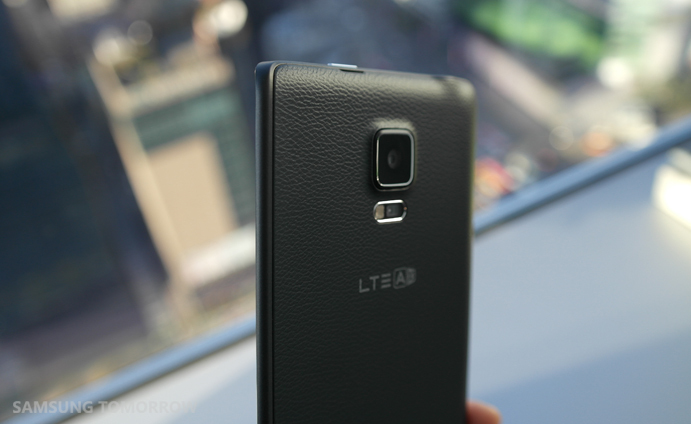 Basically, the point is, the Galaxy Note Edge is quite durable. 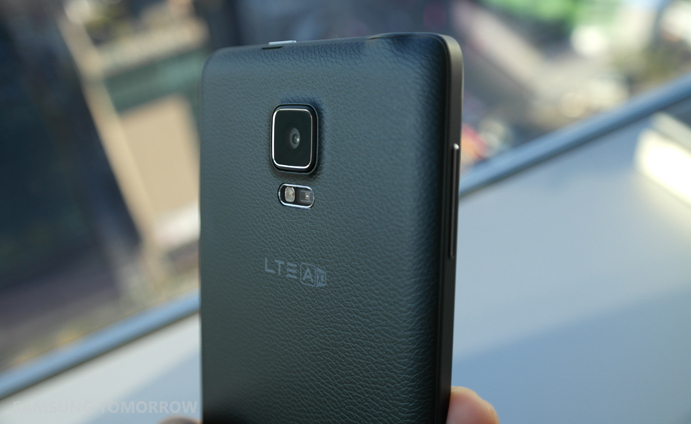 Second, will the edge screen cause unintended touches? Since the Galaxy Note Edge has the touch screen display on the side, some people might wonder if it would accidently activate other applications from the side. The designers and engineers certainly had this in mind. The touch sensor of the Edge screen can recognize the difference between finger and palm. The engineers also implemented a grip solution so that it can distinguish intentional gesture vs grip vs unintentional touch. So all in all, no the edge screen will not get in the way of your using the rest of the device, including the main screen. It’s actually quite the contrary – the edge screen will help enhance your experience with the device – you’ll be able to fully enjoy the whole real estate of your beautiful Quad HD+ Super AMOLED display. Purchasing a smartphone is a commitment. Therefore, as far as design for smartphones goes, people tend to be conservative; it needs to look like a ‘standardized’ smartphone. If you take a look at the Galaxy Note Edge, considering its unorthodox nature, it looks very natural to say the least. Why? First of all, both edges of the display are curved. Although the Galaxy Note Edge does feature an asymmetric design, the design team didn’t want the device to look unstable. So to bring some balance, the designers ever-so-slightly curved the left edge of the screen as well. Though you probably didn’t notice, this makes a great change. Also, the designers wanted to make sure the metal frame didn’t scream out ‘metal’, instead, they wanted it to have a purpose. If you take a look at the shiny metal frame, it narrowly but fluidly flows from the top of the device to the bottom of the Edge Screen, sort of like a Mobius strip, giving a sense of equilibrium when viewed from above. Therefore, it looks stable, making more of a natural first impression on people. We also need to talk about the design theme of the Galaxy Note Edge, ‘Modern Fluidic’, but we’ve covered it and overall design concept in more detail on our previous article, so feel free to check that out. 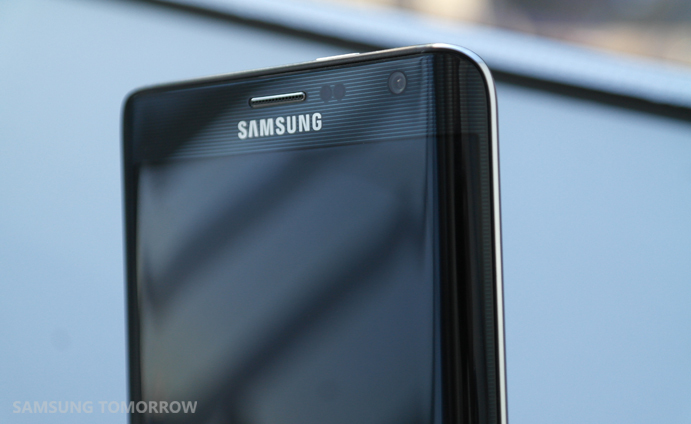 What is next for Galaxy Note Edge? There has to be more to the side of the device than just turning it on and off. As we previously showed, you can get quicker access to apps and tools, notifications and more through the Edge Screen, leaving the main screen for something else. Edge Screen isn’t just an extension of the display; it is an expansion of the spectrum of the smartphone experience. The utility of the Edge Screen becomes more apparent thanks to the recent availability of SDK for the Edge Screen. As more apps come out that highlight the function of the Edge Screen, the possibilities will become virtually endless. For example, you might be able to control your mobile game using the edge screen and leave the main screen for the prime action. Or you might be able to watch a movie uninterrupted with the subtitles playing separately on the Edge Screen. The developers of the Galaxy Note Edge are especially excited to see various creative third party apps; you should be too. As we previously suggested, the Galaxy Note Edge, even though it is such a new concept, shouldn’t really intimidate or overwhelm you. Because, the developed main focus was to make the mobile experience more convenient, efficient, and easier. If you think about it, the Galaxy Note Edge offers a new platform for users to expand their mobile device experience, especially one with a bigger screen. Although we tried to explain some of the key factors of the Galaxy Note Edge, what you can do with it is totally up to you. 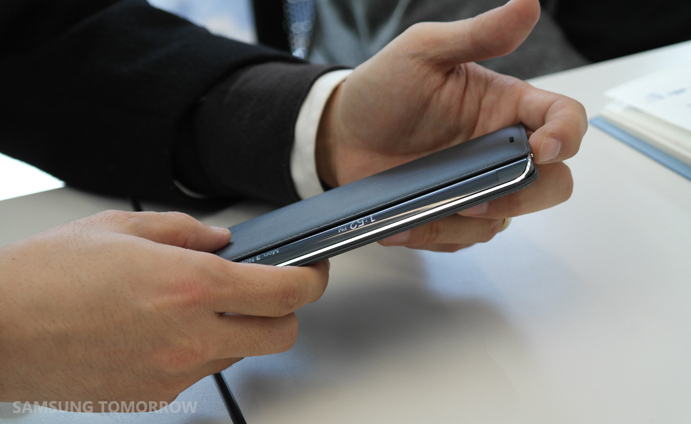 Eventually, users will find out their own creative ways of utilizing the curved screen on the side, the Edge Screen. The blog previously covered details on the features, photos, design concept and more, so feel free to check them out as well. 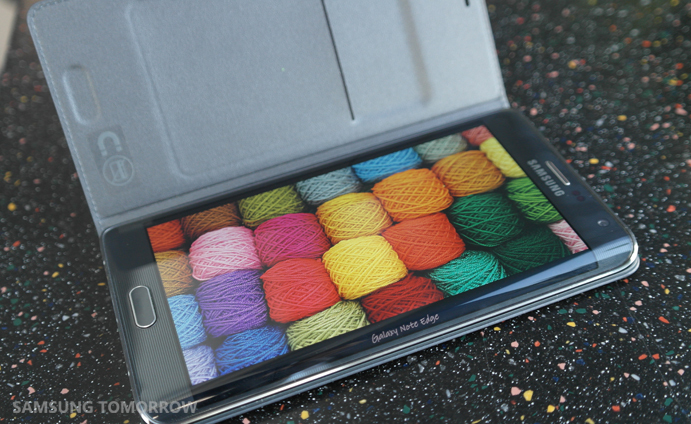 Thanks for reading, and leave us a comment to tell us what you think about the Galaxy Note Edge.